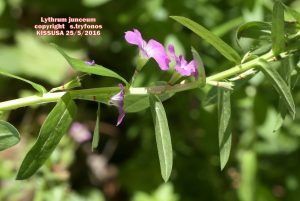 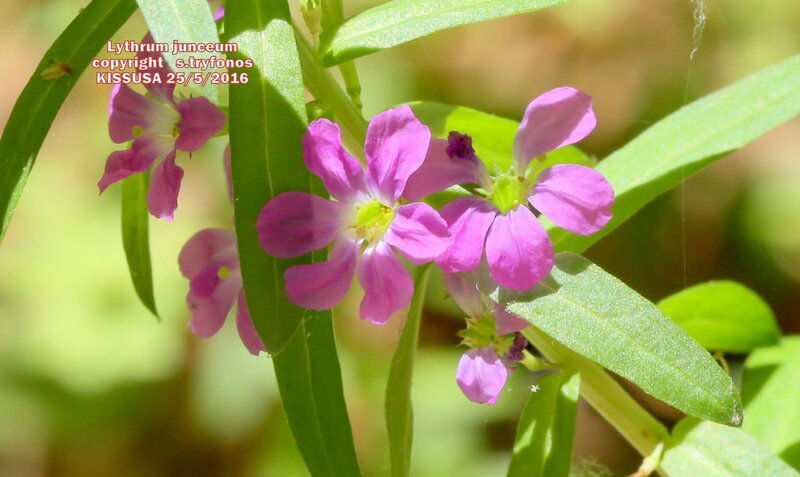 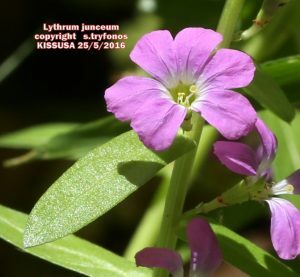 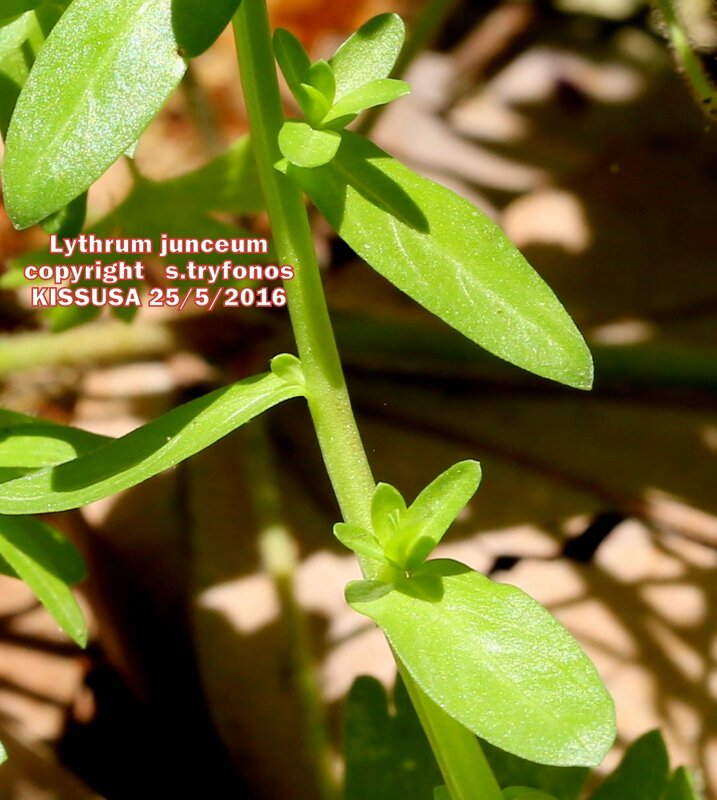 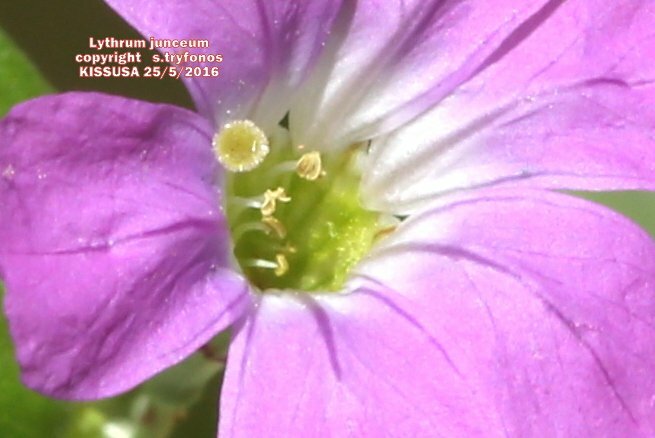 Scientific name/Επιστημονικό όνομα: Lythrum junceum Banks et Sol. 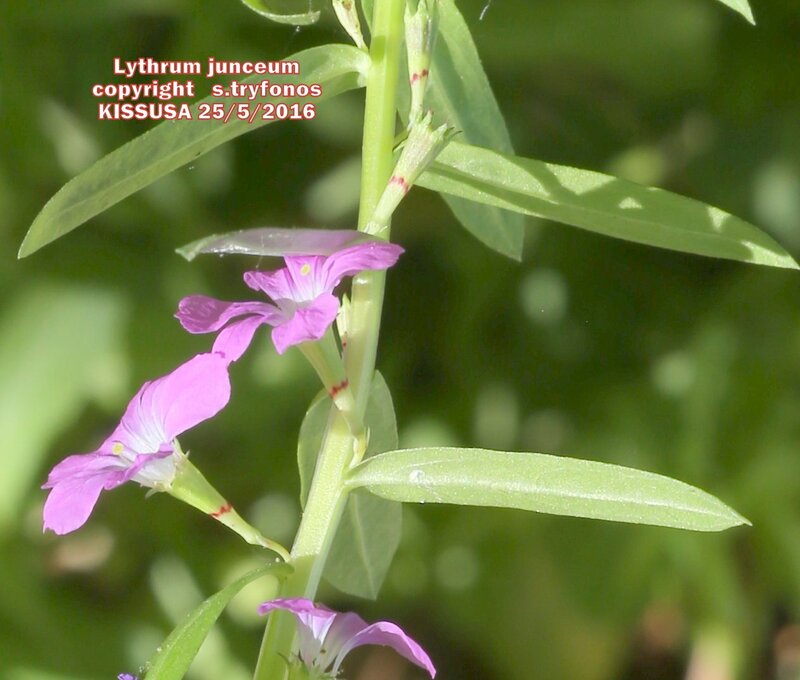 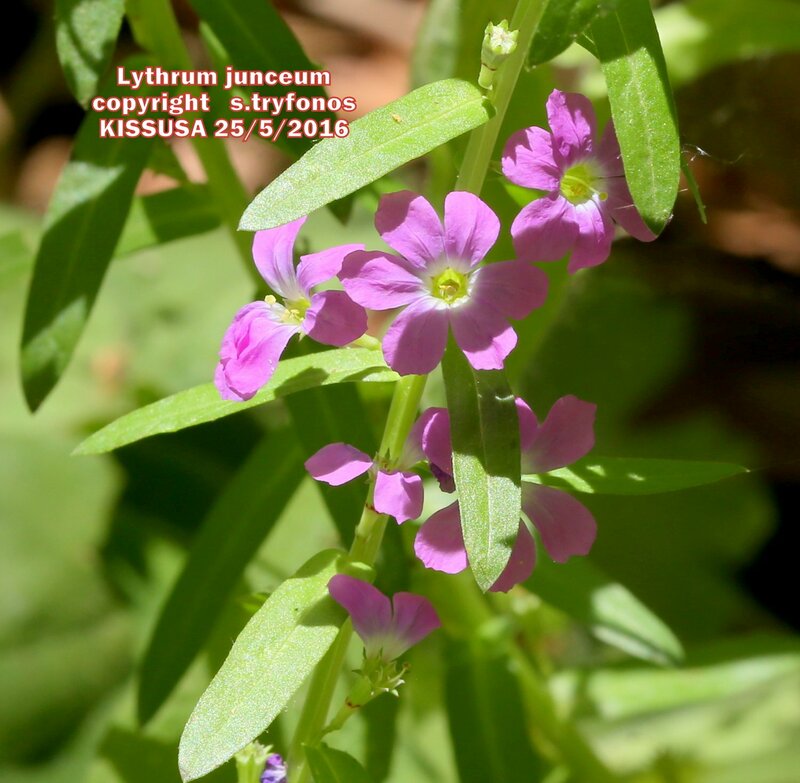 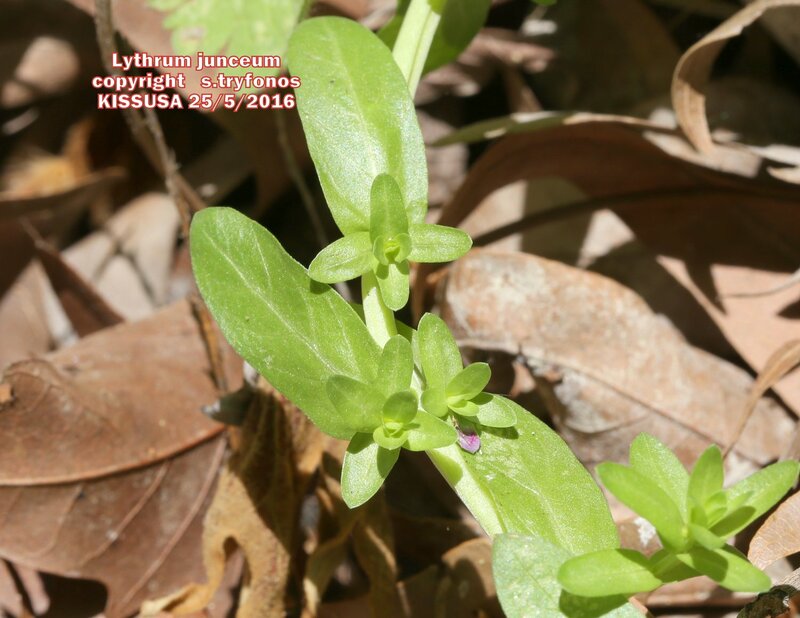 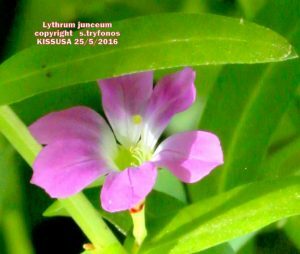 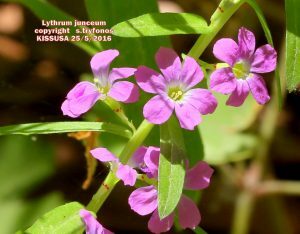 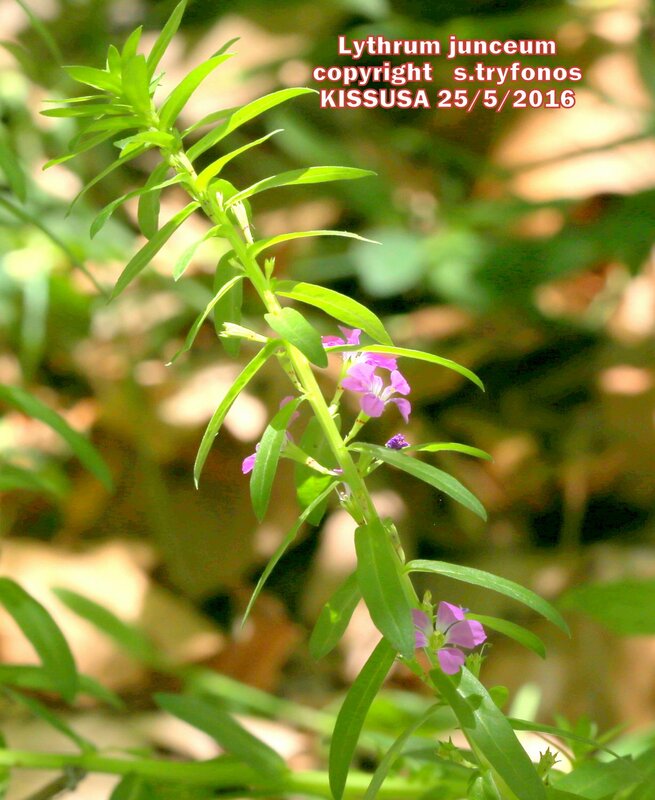 Lythrum junceum is a perennial herb growing to 40cm high. Stem spreading or semi erect, branched near the base, squared or distingly angled, greenish and glabrous. Lower leaves opposite, upper leaves alternate, simple, oblong, elliptic or oblong-linear, entire, glaucous green, glabrous, subsessile, apex subacute or obtuse, base auriculate. 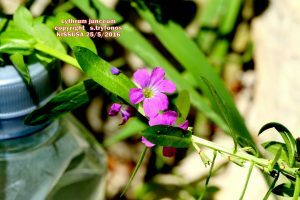 Flowers small, actinomorphic, hermaphrodite, axillary and solitary; hypantium forms a conical tube, with reddish spots about half the way towards base, wide at apex; sepals 6, triangular; petals 6, oblong-obovate, subequal, crumpled, purple or deep pink, glabrous, reduced to a short claw at base ; stamens 12, in 2 rows, some exserted, filaments free, unequal, whitish and glabrous, anthers 2-thecous, oblong, yellow; ovary superior, style filiform, stigma capitate, whitish; flowering time March-September. 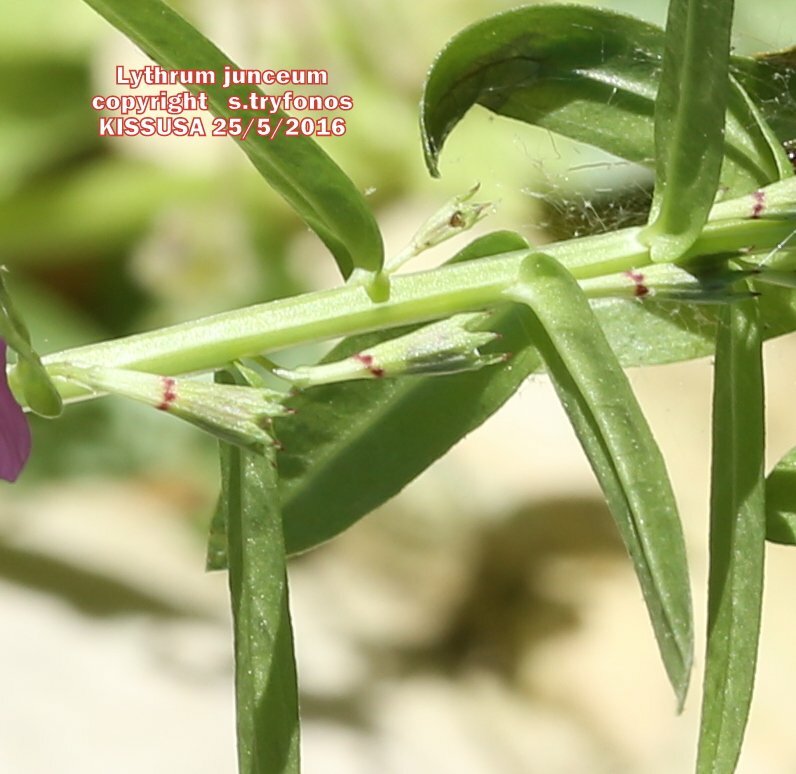 The fruit is a dry, cylindrical and dark brown, dehiscent capsule. 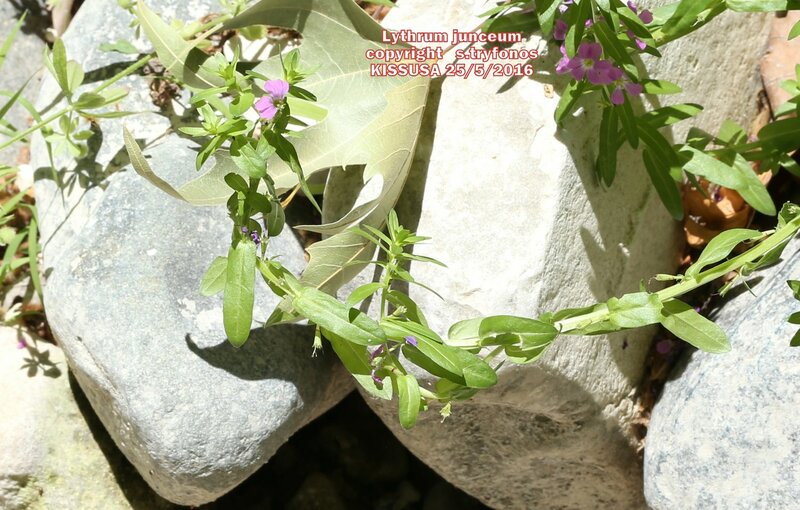 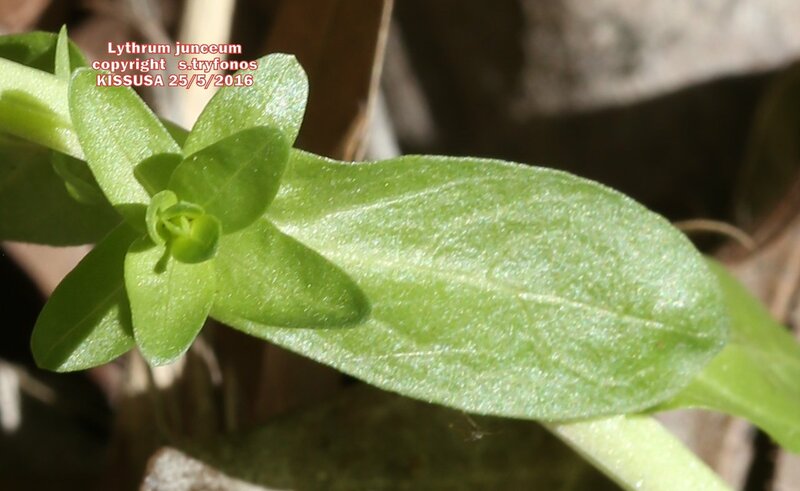 Common plant in Cyprus, on wet places, near streams and springs, from 0-1675m alt. 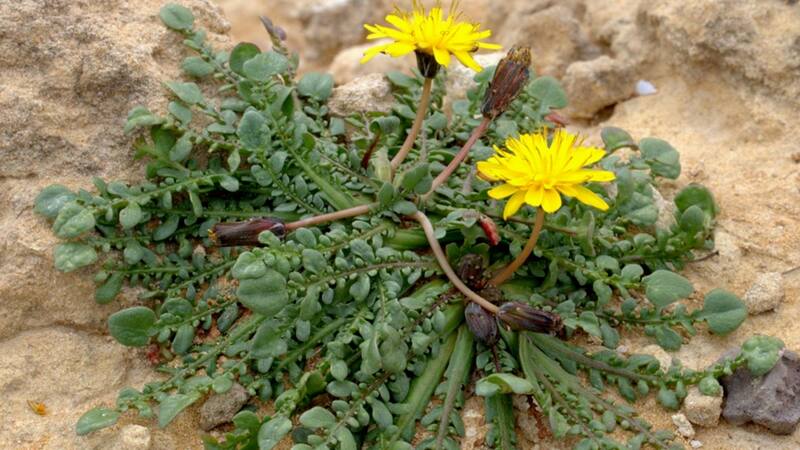 Native to Mediterranean region.